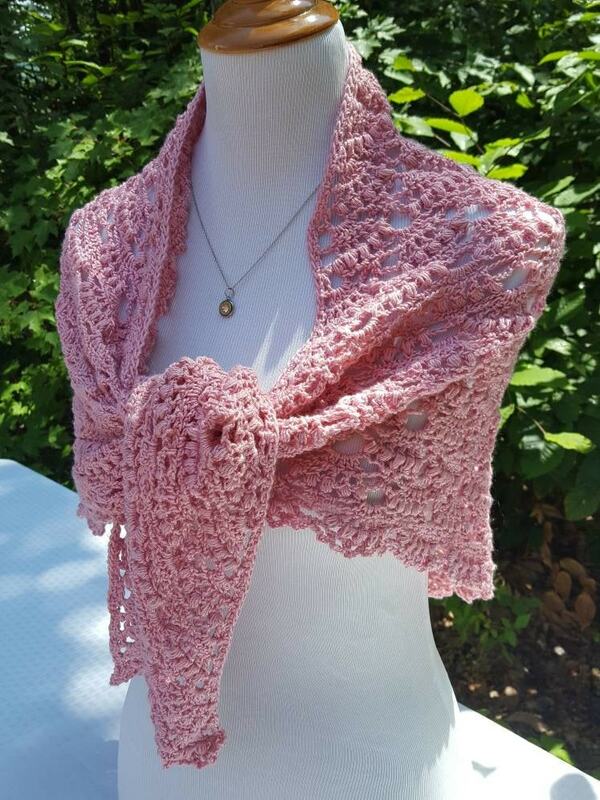 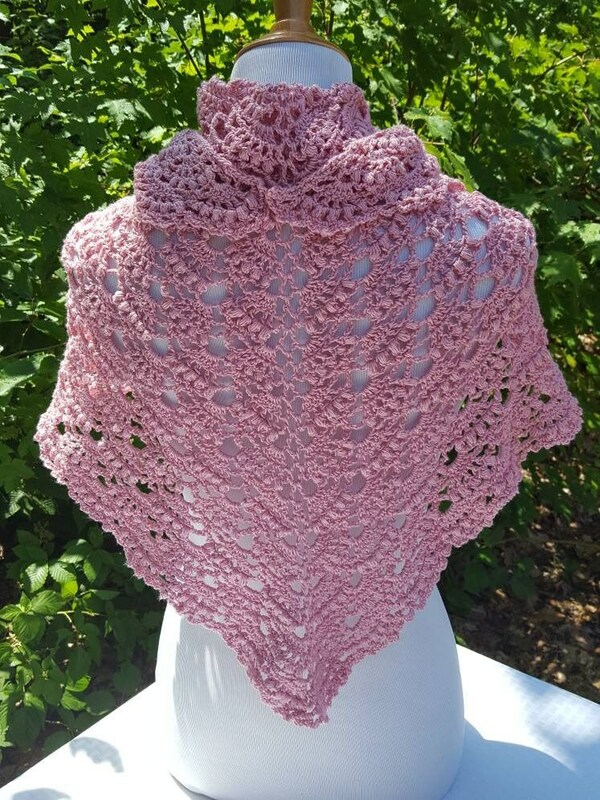 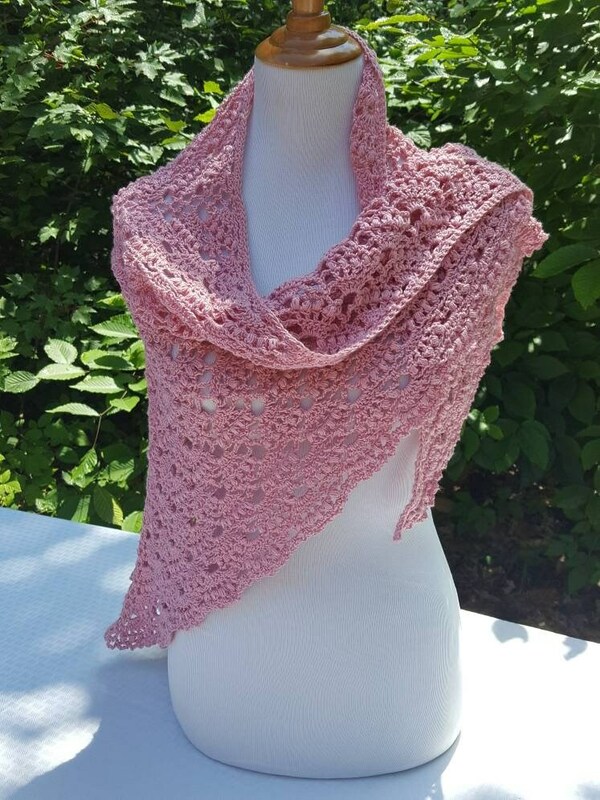 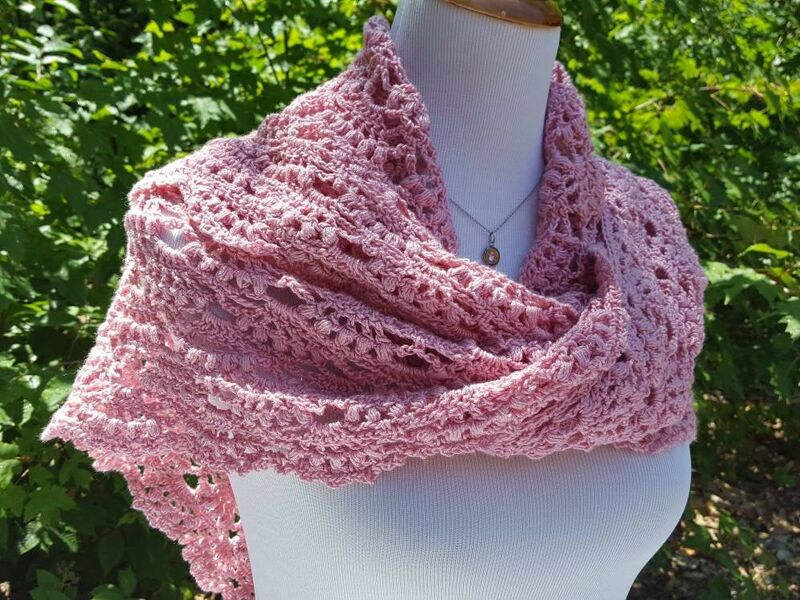 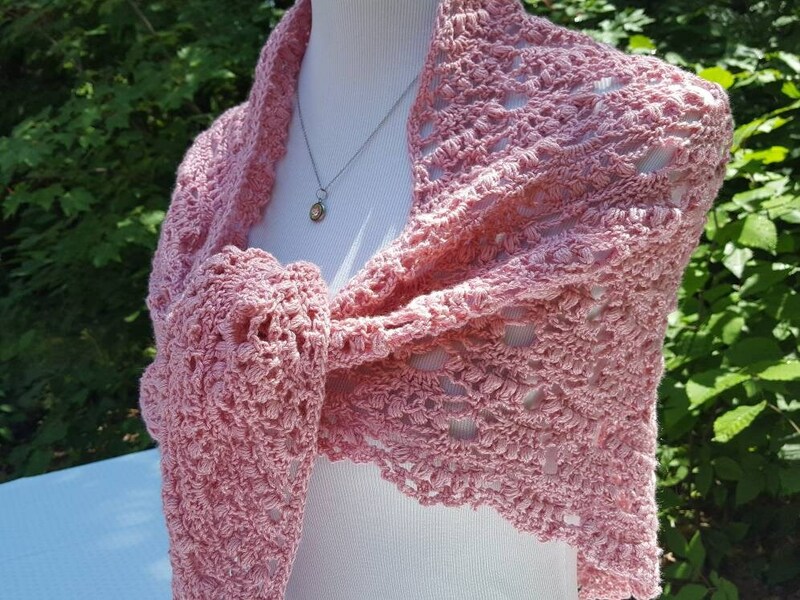 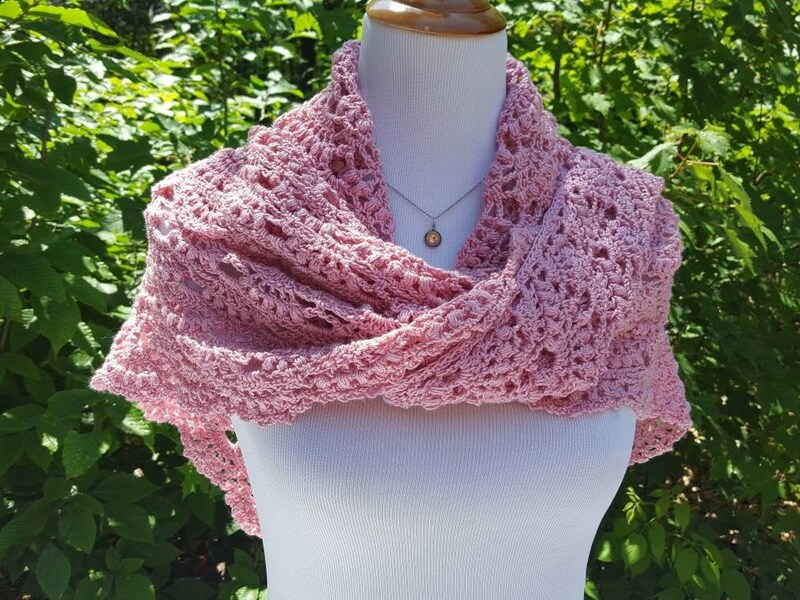 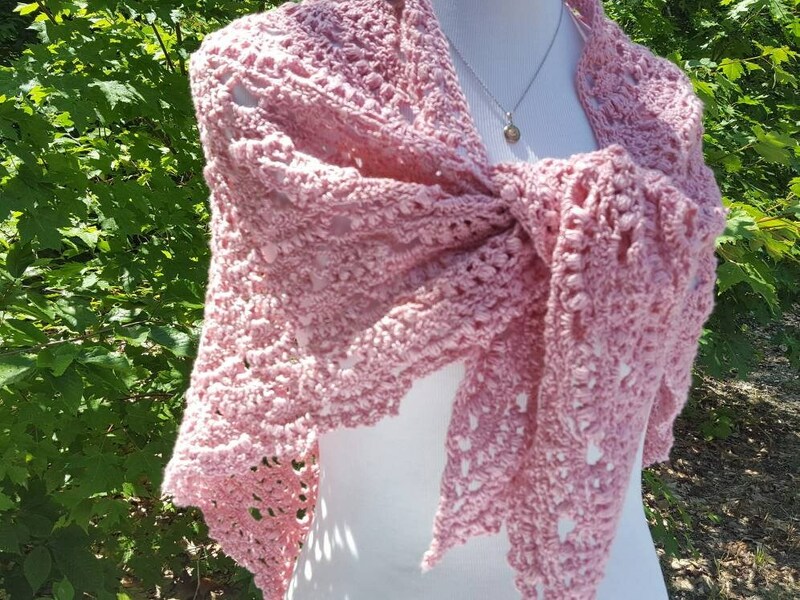 This lovely one-of-a-kind pink crocheted shawl would adorn any garment with a beautiful flair for the romantic. 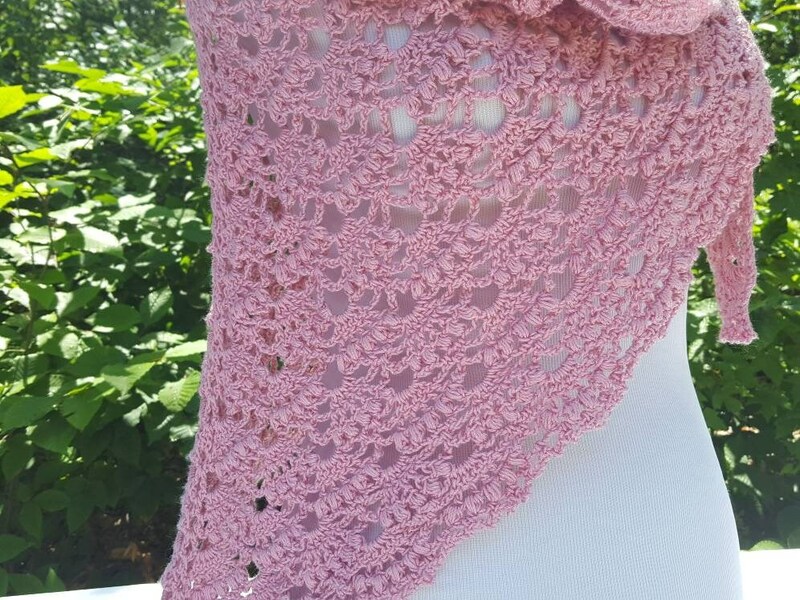 Hand crocheted in a delicate pink lightweight cotton, you'll be wearing this to Easter service, over that summer dress for a night out on the town, or perhaps to fabulous spring wedding. 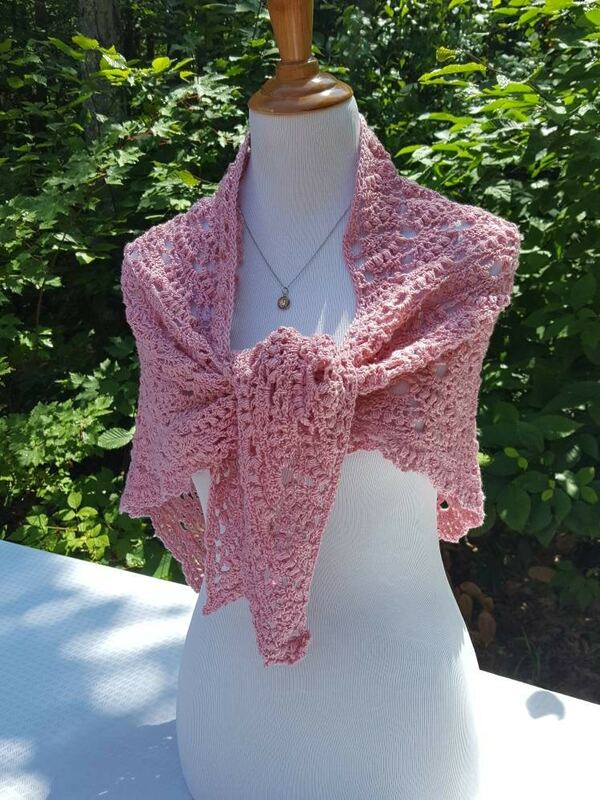 Why not wear over a fabulous white t-shirt and pair of smart jeans for a feminine touch.